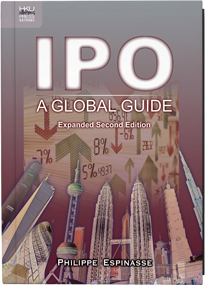 Welcome to www.ipo-book.com. 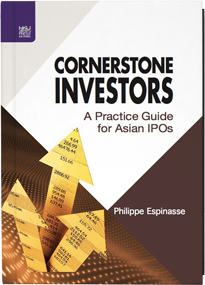 The materials on this website (the “Site”) are provided by P&C Ventures Limited acting on behalf of Philippe Espinasse (“P&C”) as a service to its customers. They are to be used for information purposes only and are subject to change without notice. By using and/or downloading any materials from this Site, you will be deemed to agree to these Terms and Conditions, which govern this Site’s relationship with you. If you do not accept these Terms and Conditions, then do not use this Site. OWNERSHIP: Except where indicated specifically, all content on the Site, including, without limitation, text, graphics, logos, button icons, and images, and the selection and arrangement of such content (the “Materials”) is the exclusive property of P&C and is protected by international copyright laws and treaty provisions. All rights not expressly granted are reserved. Any unauthorized use of any Materials from this Site may constitute a violation of copyright, trademark, and other laws. LIMITED LICENCE: You may use or download Materials displayed on this Site for non-commercial, personal use only. P&C retains full and complete right and title to any downloaded Materials, including but not limited to any files, images incorporated in or generated by the Materials and accompanying data and P&C retains all intellectual property rights therein. You agree to prevent any unauthorized copying or other use of the Materials. LINKED WEBSITES: This Site may also include links to other websites. These links are provided for your convenience to provide further information. They do not signify that we endorse the website(s), unless such site(s) is/are legally affiliated with P&C. We have no responsibility for the content of the linked website(s). P&C reserves the right, at its sole discretion, to terminate any link or linking program at any time and for any reason it deems appropriate. If you decide to access any of the third party sites linked to this Site, you do this entirely at your own risk. CONTENT: The Materials do not convey investment, investment banking, corporate finance advisory, legal, accounting, tax or other professional advice of any kind. 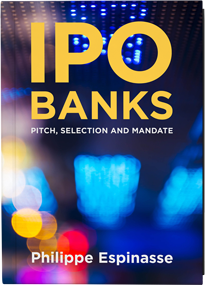 The Materials include certain topics selected by P&C for dissemination to the general public, and are offered on a blind basis, without any knowledge of your industry, identity or specific circumstances. The Materials should not be relied upon or used as a substitute for consultation with professional advisers. DISCLAIMER: Your use of any information or Materials on this Site is provided to you without warranty and is entirely at your own risk, for which we shall not be liable. P&C does not warrant that the functions contained in the Materials will be uninterrupted or error-free, that defects will be corrected, or that this Site or the server that makes it available are free of viruses or other harmful components. You understand and agree that you will be solely responsible for any damage to your computer system or loss of data that results from the download of Materials. INDEMNITY: All users agree to indemnify, and hold harmless P&C, its officers, directors, employees and agents from and against any claims, actions, demands, losses or damages arising from or resulting from their use of the Site or their breach of these Terms and Conditions. APPLICABLE LAWS: This Site is controlled by P&C from its offices within the Special Administrative Region of Hong Kong. The Terms and Conditions as set out herein and any dispute or matter arising from or incidental to the use of the Site shall be governed by and construed in accordance with the laws of the Hong Kong Special Administrative Region of the People’s Republic of China (“Hong Kong”). Both users and P&C shall submit to the exclusive jurisdiction of the courts of Hong Kong. Those who choose to access this Site from other locations do so on their own initiative and are responsible for compliance with applicable local laws, if and to the extent that local laws are applicable. UPDATES: P&C reserves the right to revise, change or modify these Terms and Conditions at any time by updating this posting or by inserting legal notices located on particular pages at this Site. Please remember to visit this page from time to time to review any amendments to the above Terms and Conditions and their effect on your use of this Site and the Materials contained therein.